CDA - Single- or multi-supplier philosophy? The gas field off the coast of Australia was discovered nine years ago. The evaluation was made one year later. 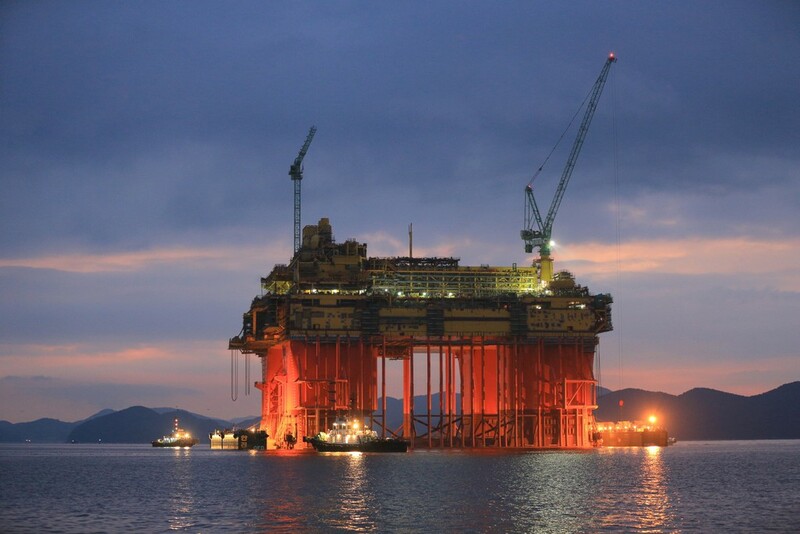 With the Ichthys LNG Project, Japanese energy company INPEX is opening up the largest discovery of liquid hydrocarbons off the coast of Australia in 40 years. The selection of Ichthys for the preliminary project was made in 2010. The first contracts were concluded in 2012 and adjusted in the following years. In 2014 and 2015, various types of building work and the installation of compressors and heating units were carried out. By the end of Q3 2017 processing is expected to start. Annually, 8.9 million tonnes of liquefied gas (LNG) should be extracted for the Asian market. Fifty underwater drilling holes connect natural gas and condensate deposits with an enormous floating central processing facility (CPF). From the CPF, a pipeline of 890km transports the gas to Darwin. Near to the CPF, a floating production storage and offloading unit (FPSO) processes the condensate, which is then loaded onto ships. 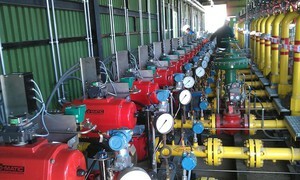 Gas won during the processing in the FPSO will be transported to Darwin via CPF and the pipeline. 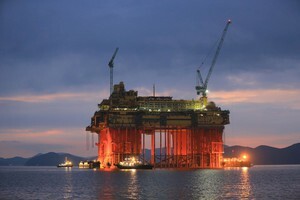 The offshore and onshore facilities are among the most modern in the world. 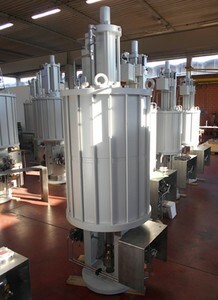 Safety engineering is provided by HIMA Paul Hildebrandt, headquartered in Bruehl, Germany. 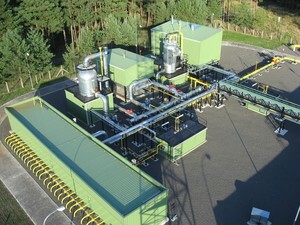 The company is supplying 430 control cabinets, including fire and gas protection systems (F&G), high-integrity pressure protection systems (HIPPS) and the connections to all relevant facilities. Prior to the start of the contract, HIMA experts and the basic process control system (BPCS) supplier tested and validated hardware and software functions. The HIMA team dealt primarily with the engineering and the design. The aim was to clarify specifications in order to minimise subsequent plan corrections and the additional time this would involve. Specific applications and various interconnection possibilities of field devices were considered from an upstream perspective. The onshore and offshore facilities and the pipeline are connected to a total of 25,000 safety-related input and output points. Safe networking was implemented using HIMA's SafeEthernet protocol. Cybersecurity and network management includes the installation of associated hardware and components such as smoke detectors in employee living accommodations. Numerous workstations and servers, along with an additional recovery system, are other components. 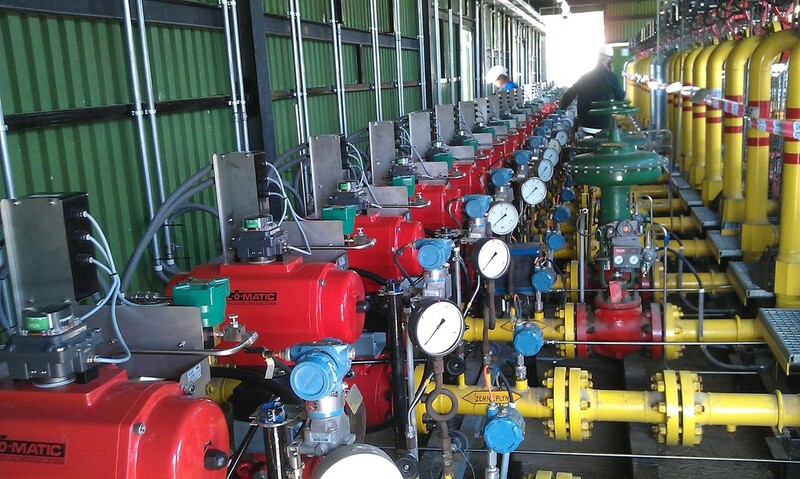 Leading Slovak natural gas storage company NAFTA has replaced a multi-vendor control architecture with a single-sourced fully integrated option from Rockwell Automation. Based in Bratislava in the Slovak Republic, NAFTA has extensive experience in natural gas storage and underground-facility development and is the Slovak leader in the exploration and production of hydrocarbons. Favourable geological conditions and the location of its storage facilities create ideal conditions for the development of one of the key hubs of the European gas network. Storing natural gas in underground storage facilities is the core business of NAFTA – representing roughly 70% of all its activities – with the storage capacity of natural gas underground facilities operated by NAFTA currently standing at 2.4 billion cubic metres (bcm). During a recent upgrade of its control systems, NAFTA dropped its multi-vendor control approach and instead opt for advanced integrated control and monitoring comprising Allen-Bradley products and systems. The primary challenge faced by the engineers at NAFTA was the migration of the hardware and software for the control architecture from multiple systems into a unified one, which also included new systems for visualisation and data management. According to Simko, NAFTA chose Rockwell Automation because the company wanted to stick to a standard. As well as simplifying the training and operational aspects, it wanted to keep spares inventory as lean as possible. The migration project actually took place in several steps over a few years, and involved multiple field stations and technology platforms, all eventually interconnected through fibre optic lines and using EtherNet/IP for communication. From a hardware perspective, the upgrade comprised the installation of over 100 programmable automation controller (PAC) systems and 70 SCADA systems. The PACs included Allen-Bradley ControlLogix, Allen-Bradley CompactLogix and Allen-Bradley GuardLogix units for various safety valves and systems. 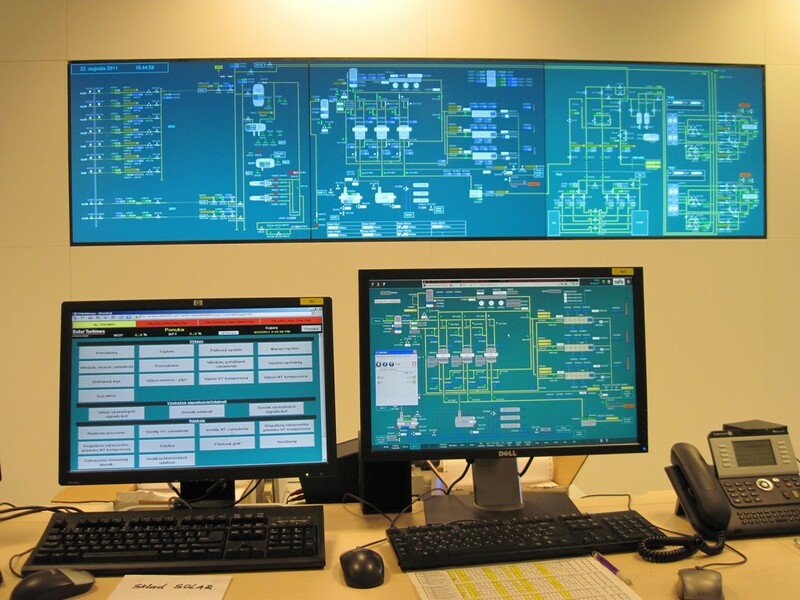 Local operator interaction is achieved via numerous Allen-Bradley PanelView Plus HMIs. The migration also included the implementation of various Rockwell Automation software products for visualisation data collection and collation, data reporting and dissemination, and remote access via web browsers. 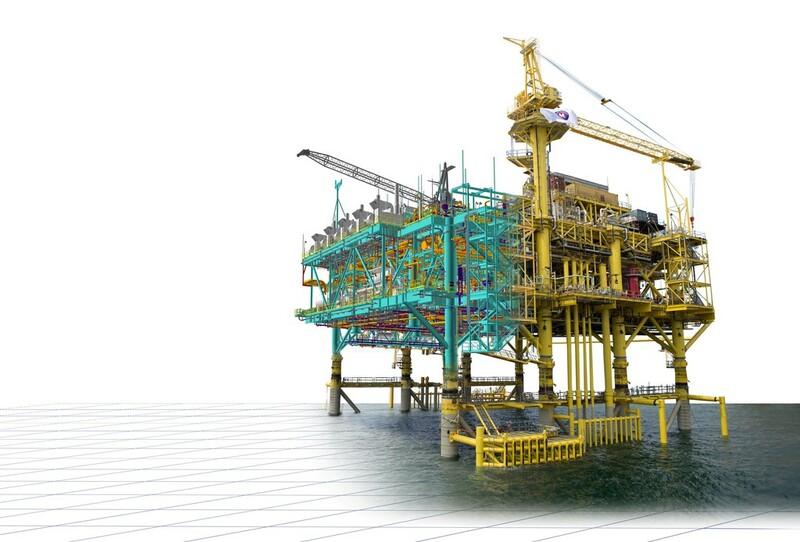 McDermott International has settled on Dassault Systemes' 3DEXPERIENCE platform to collaboratively engineer, build and operate fixed and floating offshore production facilities, pipelines and subsea systems for its client base of oil companies. The 3DEXPERIENCE platform, with the “Integrated Plant Engineering,” “Optimized Plant Construction” and “Efficient Plant Operation” modules at the forefront, will enable McDermott to digitise and standardise its processes and fully integrate engineering, procurement, project controls, construction, installation and commissioning. A single source of real-time data and a 3D model throughout a project improves project safety and quality. McDermott’s global teams have access to real-time information related to customer requirements, project scope and schedules for full visibility on a project’s status and more informed decision-making. Engineers can build a virtual model based on a single source of information that reduces manual and document-based processes. Teams can review the design, manage changes, and incorporate as-built conditions to predict and optimise performance. “We chose the 3DEXPERIENCE platform to moving engineering in the oil and gas sector from being based on the transfer of discrete documents to being based on an exchange of data in a more integrated digital platform. This will change how projects are executed," says Vaseem Khan, Vice President Engineering. In recent years, there is an increasing need to improve product quality in the oil, natural gas, petrochemical, and chemical industries by using gas chromatographs for analysing gas components on site. Elsewhere in the Middle East, Yokogawa Electric Corporation subsidiary Yokogawa Electric Korea has received an order to supply an analyser package for the Liwa Plastics Industries Complex, which is being built on Oman’s northern coast for Oman Oil Refineries and Petroleum Industries Company (Orpic). 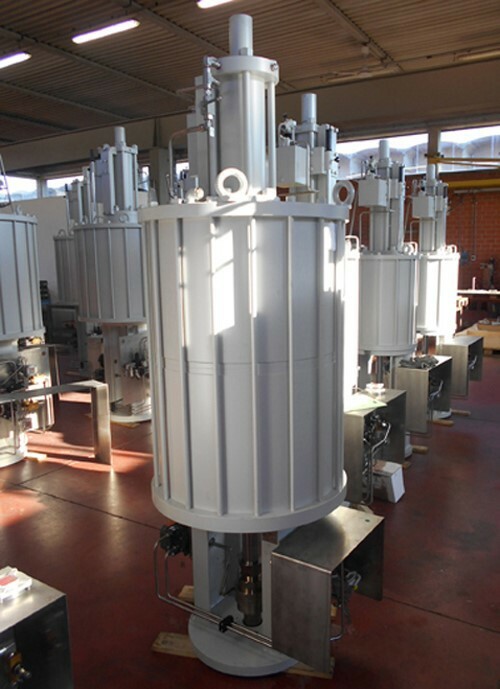 This package order is for 15 analyser houses and associated analysis systems consisting of process analysers and sampling instruments. The client is a joint venture between Chicago Bridge & Iron Company N.V. (CB&I, a major US construction company) and CTCI Corporation (a major Taiwanese engineering company) that is responsible for the engineering, procurement, and construction (EPC) of an approximately 800,000 ton per annum naphtha cracker and related utility facilities at this complex. The analysis systems for this steam cracker and its off-site utility facilities will rely on Yokogawa GC8000 process gas chromatographs to separate mixed gases and volatile liquids into their respective components and measure their concentrations. A total of 75 GC8000 units have been ordered. 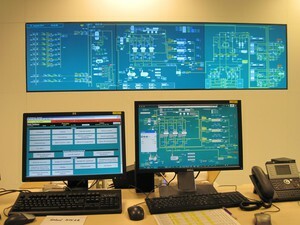 Yokogawa Electric Korea has responsibility for analyser house fabrication, systems integration and site commissioning. 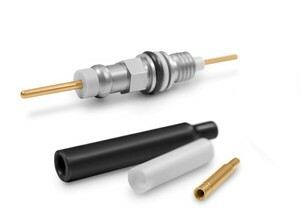 Smiths Interconnect, a leading provider of high reliability interconnects for the oil and gas industry, is unveiling the innovative high pressure, high temperature Vortex Connector Series, specifically designed for MWD, LWD and wireline applications. The Vortex Series provides exceptional protection of critical electronics in the harsh environment that is typical of the Oil and Gas applications allowing customers to exploit more demanding geographies and geologies with deeper drilling and fracking capabilities. The Vortex features a single way connector and a mating boot kit which utilises the unique performance of the Hypertac hyperboloid contact technology to offer exceptional protection at high temperature and pressure conditions (200°C/35kpsi) with high resistance to shock and vibration. The constant wiping action of the hyperboloid contact ensures lower heat build-up which acts to increase battery life. Impeccable signal integrity provides higher data resolution with more data output per hour providing the opportunity to improve the efficiency of the drilling operation and reducing overall system cost. These features also lead to increased meantime between failure and lower maintenance costs. Lithium is the foundation of rechargeable batteries, energy storage systems and electric vehicles. Goldman Sachs Group projects that demand for lithium will triple by 2025 to 570,000t. Now, a new and potentially highly significant way to extract a rare ‘superfuel’ is emerging. 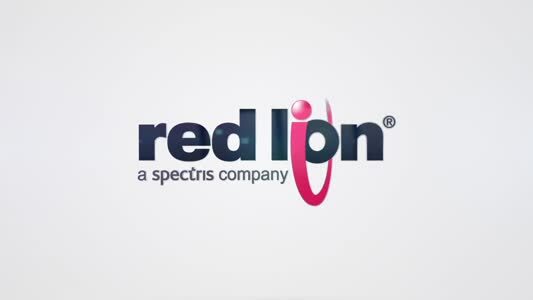 Petrolithium is a new process pioneered by a little-known company that has just made one of the biggest leaps in lithium extraction. MGX Minerals has recognised that the best source of lithium is in brine, but it’s harder to extract. Until now, we’ve only had two conventional means of lithium extraction: hard rock mining and solar evaporation. Neither are efficient, and both are costly. MGX’ technology separates the lithium carbonate from the brine wastewater as it is being pulled up to the surface during oil and natural gas production. In the same way that we purify water, we can now extract lithium with this new technology. Think “reverse osmosis”—but patented. MGX is partnering with two Canadian companies David Bromely Engineering and PurLucid Treatment Solutions. ‘Nano-flotation’ removes oil, colloids and other metals from the lithium-bearing brines. An advanced form of ultra-filtration is then used (like reverse osmosis) to remove the oil from the waste stream (this oil is why we could never before recover the lithium from the wastewater). The resulting liquid is flash frozen and evaporated under reduced pressure. High concentrations of lithium carbonate come out. In a single day, MGX can recover almost all the lithium from oil and gas wastewater and produce clean water as a by-product. The technology is simple to install in lithium hotspots that are already in operation. Sixty years ago, LEMO launched the first ever range of push-pull connectors, offering customers a user-friendly and fail-safe alternative to the traditional screw or bayonet locking systems available at the time. This revolutionary product was an immediate success and was soon adopted as a global industry standard across many hi-tech applications from photographic equipment to nuclear research. 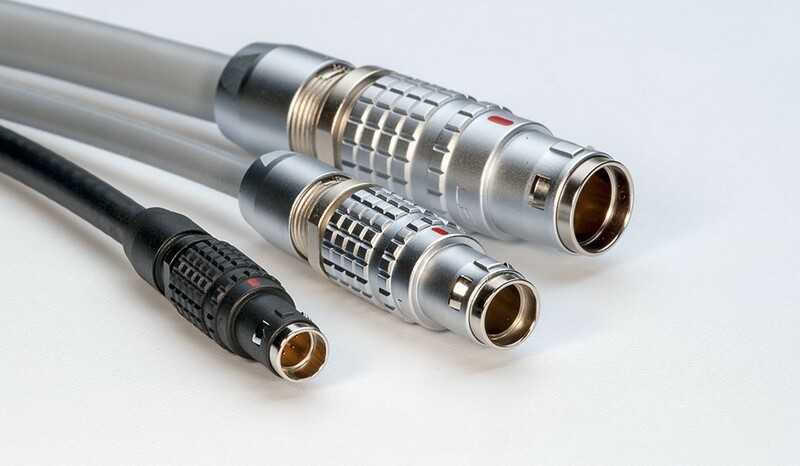 Over the years, the original latching system had been continuously refined to optimise performance and the connector range expanded to meet the specific requirements of an ever-increasing list of niche applications.